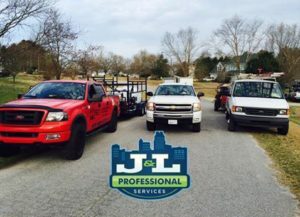 We’ve been washing homes in the Raleigh area for over 8 years. Check out our soft washing techniques, our pressure washing process, and house washing pricing. Our driveway & concrete cleaning service is our most popular services. Brightening your concrete & removing stains can greatly increase your curb appeal. Check out our driveway & concrete cleaning services, techniques & pricing. 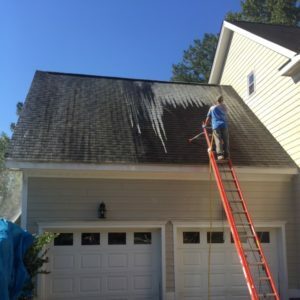 Getting your roof washed is more important than ever before! But only if it is done safely, correctly, and with NO pressure. Check out our no pressure roof washing techniques & satisfaction guarantee. 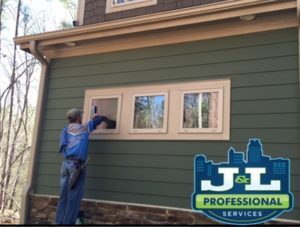 Did you know that keeping your windows clean will extend their life and increase your home’s energy efficiency? Check out our window cleaning services & pricing.